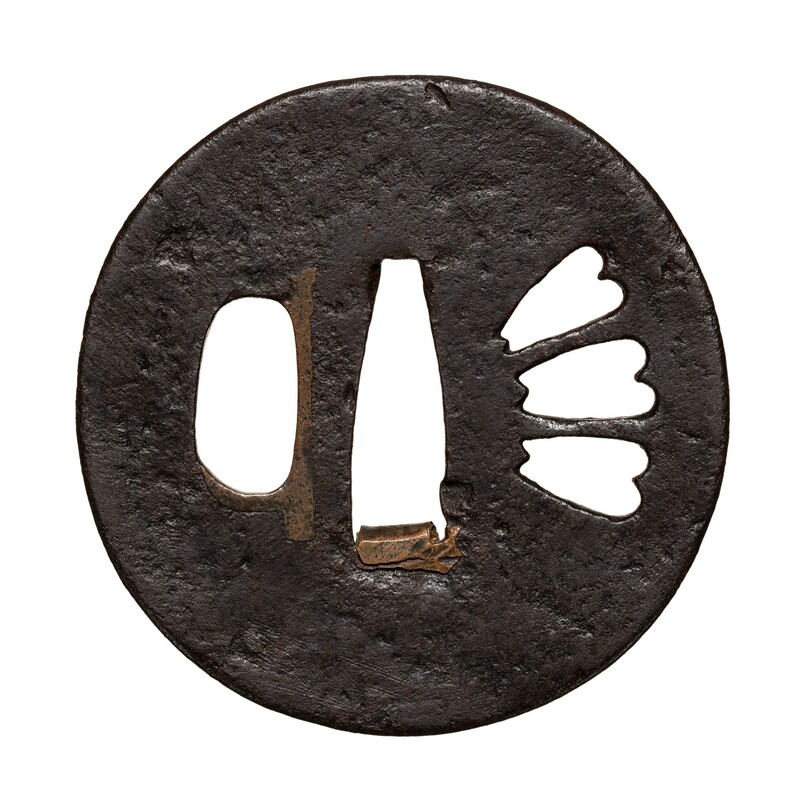 A round iron plate tsuba with a well hammered surface that appears polished. 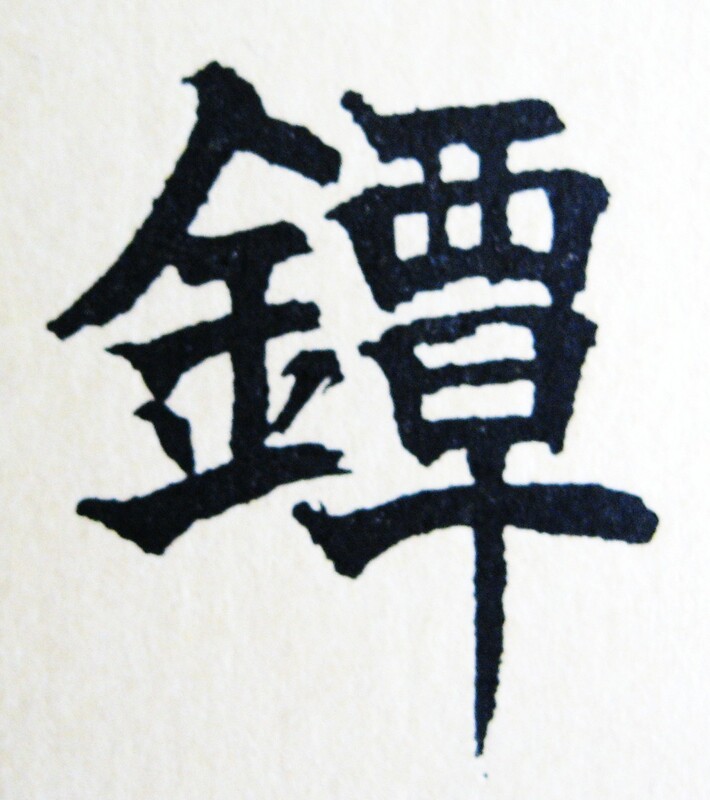 On the right side are three petals of a cherry blossom flower. On the left a very large kozuka ana. 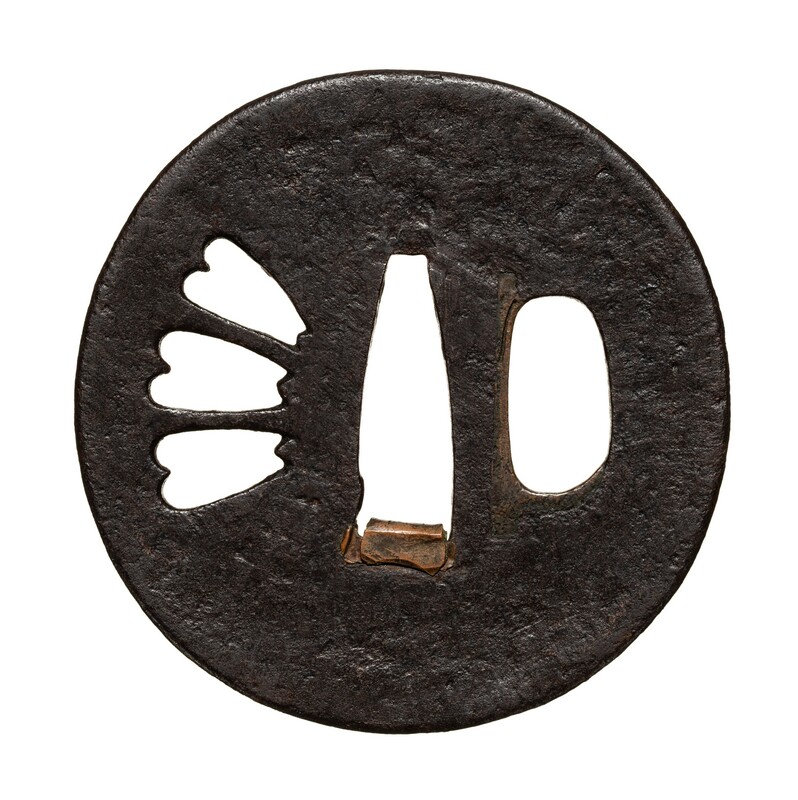 From the size of the hitsu and nakago-ana, this was mounted on a very large sword. This seems to date to ca. 1500 or earlier. 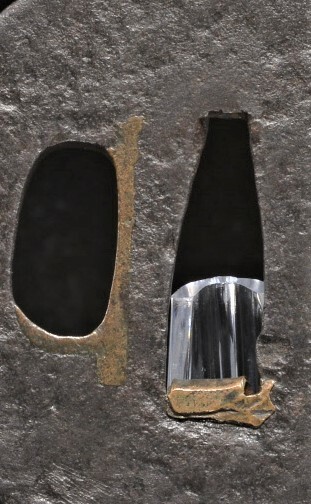 The hitsu has a sekigane (pillow) of a very rare shape.